Provides evidence-based information to help users master critical nursing and allied health skills. Connect with CUHK Wi-Fi or VPN and select 'Institutional Network' to authenticate. Provides you fast and easy access to the most current evidence and practice standards of nursing. Connect your device with CUHK Wi-Fi or VPN, select "Institutional Users" and then "IP Authenticate". Allows you quickly and easily find the step-by-step procedure of nursing practice. Connect your device with CUHK Wi-Fi or VPN, select "Institutional Users" and then "IP Authenticate". Allows you to search multiple EbscoHost databases in one go. Go to CINAHL Complete, click on the "iPhone and Android apps" link at bottom of screen and follow the instructions. Includes evidence-based nursing books, drug monographs, patient education, and multimedia. Log in with your personal account created at ClinicalKey for Nursing. 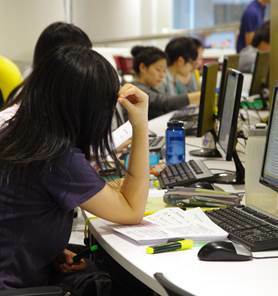 Connection with CUHK Wi-Fi network is required for online access of content. A comprehensive reference tool designed to provide relevant clinical resources to nurses, directly at the point-of-care. Go to Nursing Reference Center Plus, click on NRC Plus Mobile App Access at the bottom to follow the instructions.